Providing a luscious taste of the tropics, coconut oil is made from whole, fresh coconuts. It contains nutritious lauric acid and antioxidants. The virgin, unrefined type is healthier than the refined variety, which doesn't have much of a coconut flavor. Avoid unhealthy hydrogenated coconut oil. Substituting coconut oil for vegetable oil is straightforward, but you do need to follow a few key steps. To substitute coconut oil for vegetable oil in any recipe, use the same amount of coconut oil as the vegetable oil amount you would have used. When substituting coconut oil, follow the same instructions as those in a recipe calling for vegetable oil. Coconut oil is solid in consistency at a room temperature below about 75 degrees Fahrenheit, so if you need a liquid oil, melt coconut oil at low heat in a small pan on the stove before using it. If it comes into contact with other food that is cool or cold, coconut oil could harden again. To prevent this, warm the other foods before mixing them with coconut oil. 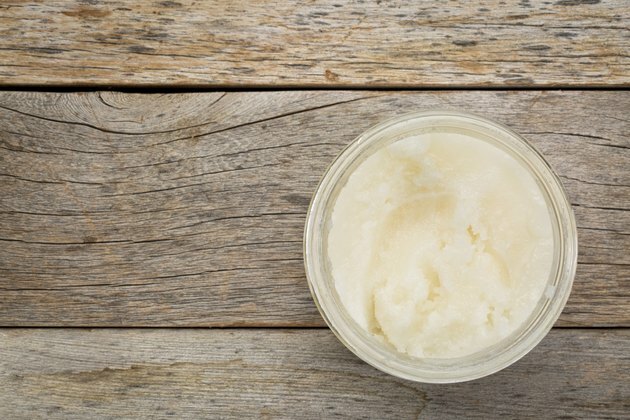 Academy of Nutrition of Dietetics: Coconut Oil--What Is It All About? Is Deep Frying in Olive Oil Good for You?